Facebook today announced a host of new camera features for its Messenger app. Facebook is launching new features for the Messenger update beginning Monday, such as selfie mode and Boomerang support. 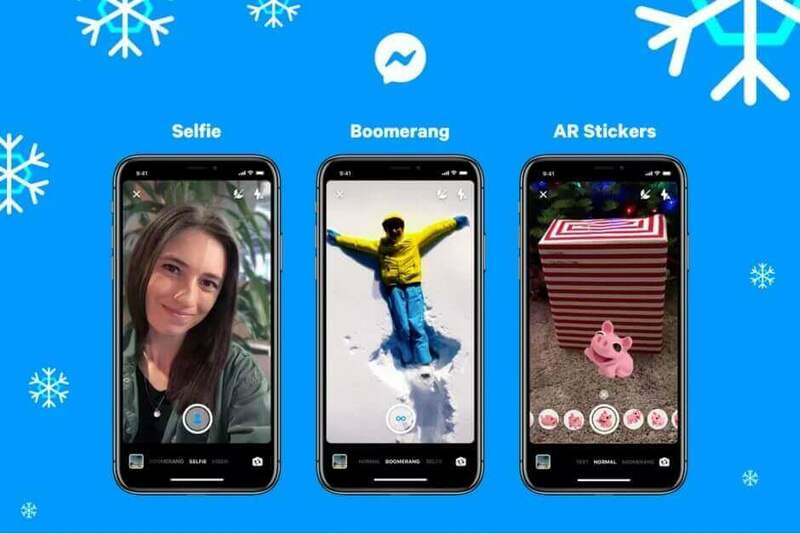 In addition, Messenger users will have the ability to include AR (augmented reality) stickers in their pictures and videos. Boomerang, a feature which is now found in the Facebook-owned Instagram is a looping effect. Some new holiday themed stickers, filters are additionally being added to Messenger as a major aspect of this update, as are augmented reality stickers. The update is very vital for Apple fans who own older iPhone models that do include the Portrait introduced with the iPhone 7 Plus launch. Regardless of whether your iPhone doesn't have double cameras, Messenger will will be able to produce a selfie solely through software means. Simply ensure that you choose the new Selfie mode from the five distinctive camera modes that Messenger presently offers to users: normal, text, video, boomerang, and selfie. In spite of the fact that Facebook has offered augmented reality impacts for some time now (either as selfie masks or world effects), AR stickers are an attempt to match these impacts with similar stickers that can right now be sent through standard content talks. By pressing the camera icon next to a sticker, you can now add that sticker as an augmented reality object. 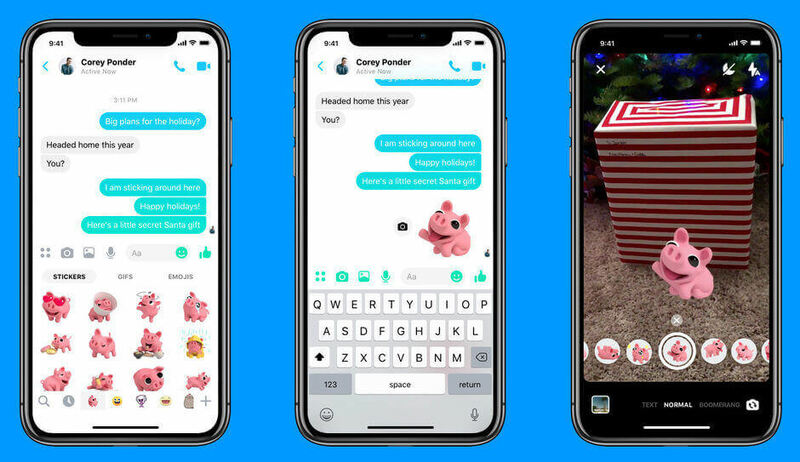 As per Facebook, releasing these features these days depends on the face to take advantage of holidays in light of the fact that as indicated by Facebook, Messenger gets used more than at any other time of the year.